The family wanted an interesting cocktail for Easter so I used my cocktail super powers* and sprang into action. I wanted tequila as the base, but wanted the cocktail be fresh, fruity and light. I opted for blueberry juice and found meyer lemons at the market which added a nice touch of sourness and added complexity. 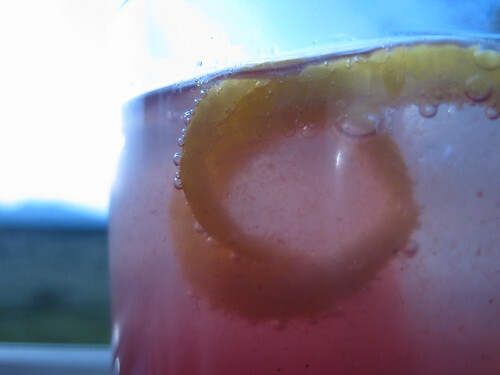 With a touch of soda water, the Blueberry Tequila Fizz was born. Note: The blueberry juice we used was pure blueberry juice, but blueberry juice cocktail works pretty good too. And it was super yummy! Thanks, Reese!